Physical Therapy - with licensed physical therapist, Kris Roy. Sessions may include manual therapy, movement therapy, cranial therapy, exercise, light therapy. 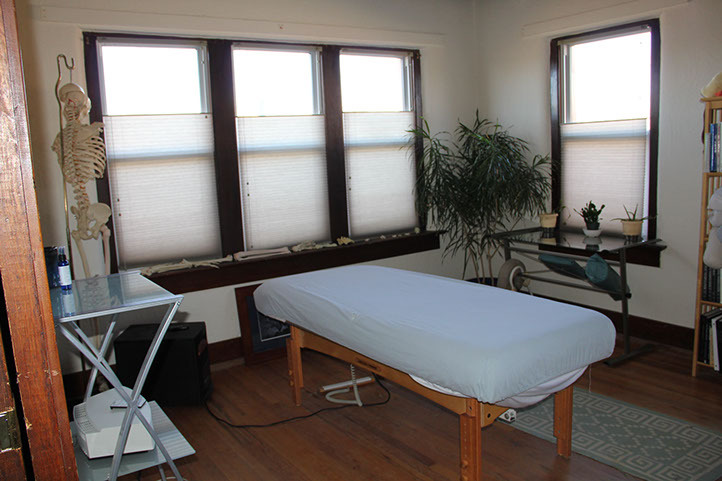 Massage Therapy - with either licensed massage therapist, Laurie Blackwood or Kris Roy. Sessions may include manual therapy, movement therapy, movement education, cranial therapy, grounding. PT Plus - dual session with Kris as physical therapist & Laurie as massage therapist or health artist. Health Artist - with either Laurie or Kris working as an unlicensed practitioner under the New Mexico Unlicensed Healthcare Practitioner Act. Sessions may include motility testing, biofeedback, movement education, grounding, light therapy, sound healing, mud-packing. Health Artist Duo - with Kris & Laurie working as unlicensed practitioners under the New Mexico Unlicensed Healthcare Practitioner Act. Sessions may include Autonomic Response Testing, motility testing, biofeedback, movement education, grounding, light therapy, sound healing, mud-packing.